The stream of traffic heading south on Homan Avenue through North Lawndale has increased steadily over the years as the popularity of and development in this near-west community continues to intensify. 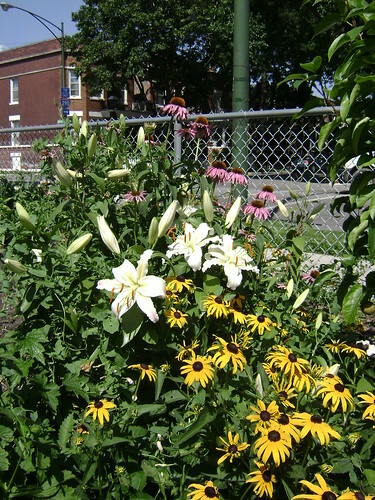 Acting as an “unofficial” gateway to North Lawndale is the Velma Johnson Memorial Garden (previously knows as the 3400 Flournoy Block Club Garden), a welcoming corner space at Homan and Flournoy filled with trees, shrubs and flower beds that evolved from a weekly gathering of residents who met to clean out a vacant lot that tended to attract a large amount of garbage. 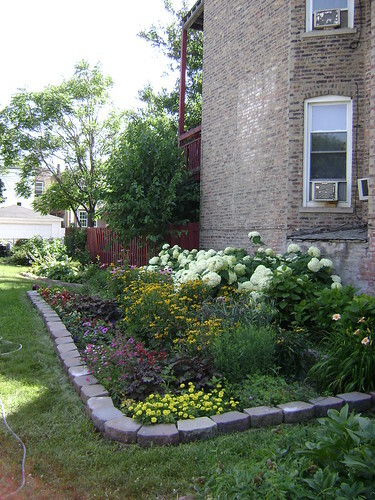 Since NeighborSpace helped conserve it as a garden, the Velma Johnson Memorial Garden has undergone several transformations, some out of necessity, but most in order for the garden to continue serving the changing needs of the surrounding community. Former local leader Velma Johnson, in whose memory the garden was named, noted that the garden’s first ground covering was replaced with the existing soft, thick turf after unwanted weeds kept surfacing through the original base of wood chips. 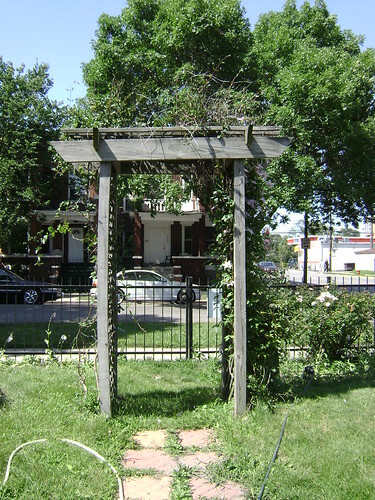 In recent years several large wooden benches featuring flower planters were added to the middle of the garden where there is ample shade, and an arched trellis was erected at the Flournoy entrance, blossoming in sweet-smelling, colorful flowers each summer. Today the focus of the Velma Johnson Memorial Garden is primarily on providing families with a place to gather with their neighbors. 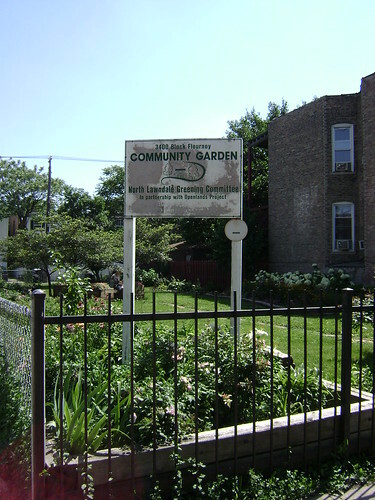 The lack of other park space nearby makes the garden that much more valuable to the community.